Research in the Centre for Cultural and Media Policy Studies focuses on how government policies can impact, either directly or indirectly, on the nation's cultural life. Our research improves national and international discourse about the arts, culture and cultural value by providing rigorous and unbiased evidence and arguments. A key component of our work is engaging with our research users – policy-makers, public bodies, cultural institutions and artists – through collaborative projects and public events. 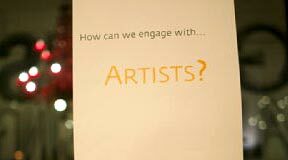 Our work supports and strengthens national arts organisations and cultural institutions. We also focus on the UK's West Midlands area, helping to develop regional arts organisations' capacity to deliver first-class artistic productions through initiatives such as the Warwick Creative Exchange. A defining moment of the London 2012 Olympics was the Opening Ceremony, which aimed to convey the essence of British culture to global audiences. Culture is at the heart of national identity but it's currently under threat from cuts to public funding. Through evidence-gathering events with prominent individuals in the arts and policy-makers, the Commission aims to contribute a fresh perspective on how we can develop new policy thinking and practical recommendations that ensure the long-term sustainability of the national cultural eco-system in challenging and competitive times. The Warwick Creative Exchange was established in 2011 to bring together expertise at Warwick with arts and cultural organisations in the West Midlands. 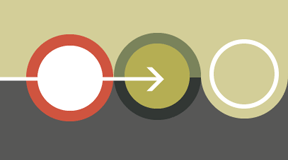 The network identifies and encourages collaborative research and knowledge exchange between academic and arts communities. The Exchange supports the arts community by providing information, collaborative research initiatives and developing thinking on cultural value and digital platforms to enhance artistic production and audience engagement. 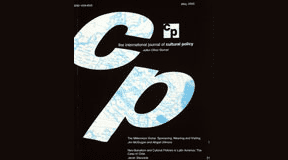 The International Journal of Cultural Policy, founded and edited by Professor Oliver Bennett, has played a key role in establishing the field of cultural policy studies. It has become the primary outlet for new research on cultural policy around the world. As such, ministries of culture, arts councils and cultural organisations feature prominently in its subscriber list. Over 50,000 article full-text downloads were recorded in 2012. Its published research thus not only supports the research community but feeds directly into the world of policy and practice. 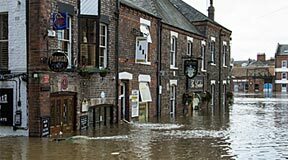 Sustainable flood memories is an ESRC-funded project whose findings are focused on the different forms of material culture that play a role in recording and disseminating memories of flooding. Through stakeholder competency groups, workshops in the Lower Severn catchments and the production of digital stories, the project has led to further funded knowledge exchange work with the Environment Agency. Social networking and other ICTs are currently being explored through the production of digital stories with the Environment Agency to be tested in local communities. The ESRC have featured the project as a case study. Happenstance is a technologist-in-residence programme that ran as a successful pilot in 2012, funded by the NESTA, Arts Council England and AHRC Digital R&D Fund. Happenstance created six residencies at three of the UK's most vibrant and exciting arts organisations: Site Gallery in Sheffield, Lighthouse in Brighton and Spike Island Bristol. The programme was produced by Caper, with Warwick as the research partner. The research found that bringing digital experts and arts organisations together can bring about cultural change, and open up new ways of designing and implementing arts projects. We provide rigorous and unbiased evidence which informs policy debate and public discussion about cultural value. We use our research to input into the strategic direction and policy developments of public bodies in arts and culture. Our research supports charities and arts organisations to argue for the appreciation of cultural value to its full spectrum, and not just economic value. Our research furthers thinking about the value of arts and culture, which we use to address the concerns of the artist community in sustained and meaningful engagements. We exploit creative practices to capture memories which can aid in the development of sustainable communities.